CBS ANNOUNCES SEASON FINALE AIRDATES FOR 2018-2019! CBS has announced the season finale airdates for its slate of primetime programming. The biggest news here is that The Big Bang Theory will end its 12-season run on Thursday, May 16th. CBS Studios Licenses MacGyver and America’s Next Top Model To UK! CBS Studios has licensed first-window rights to its reboot of MacGyver and the latest season of America’s Next Top Model to United Kingdom broadcaster, Sky. Singer, actress and entrepreneur Rita Ora hosts the reinvented ANTP with supermodel and body activist Ashley Graham, Paper magazine chief creative officer Drew Elliott and celebrity stylist and image architect Law Roach serving as judges. CBS Gives Trio of Rookies Full Season Orders! CBS rookie series Bull, Kevin Can Wait and MacGyver have all generated ratings growth in their respective timeslots so the network has rewarded them with full season orders. MacGyver: Big Talent; Bigger Ego! In the teaser of MacGyver’s (CBS, Fridays, 9/8C) premiere, The Rising, Angus MacGyver brags about his accomplishments and kills three bad guys. This is clearly not your daddy’s MacGyver! I Got This! Trailer: MacGyver! Mac is back! Break out the chewing gum! The MacGyver reboot has a clever trailer (from Germany). If you like to improvise, you’ll love seeing Mac in action after the break. MacGyver begins this fall on CBS. Comic-Con 2016: Trek Only the Tip of the CBS Iceberg! Yesterday’s announcement of CBS/CBS Access plans for Star Trek at this year’s San Diego Comic-Con were just the tip of the iceberg. The Big Bang Theory will also be represented with a panel and ‘Special Video Presentation,’ courtesy of Warner Bros. Television. Add to that CBS Interactive’s annual con coverage and unique giveaways (the MacGyver ‘mulit-tool,’ anyone?) and the result falls just short of a full-scale invasion! For a complete list of events and times, follow the jump. U.S. Only Trailers: CBS 2016-17 Primetime Shows! CBS has released teasers/sizzle reels for its new shows (including Man With a Plan, above). They are geo-blocked in Canada (which makes no sense since we get CBS up here) so I can’t watch them, but you can still check them out (even if I can’t) after the break. Mac Attack and a Bit of Bull Spark CBS 2016-17 Primetime Lineup! CBS has released its 2016-17 primetime schedule and it’s true – MacGyver (above) is back, saving the world from nuclear destruction with a wad of bubblegum, a bit of dark chocolate and a rattail comb. Seriously, MacGyver has a tough road ahead – it leads CBS’ Friday night (leading into Hawaii Five-0). Continuing with the drama, Michael Weatherly, who wrapped his run on NCIS last night, will be in familiar territory as his new series, Bull, moves onto Tuesday night between NCIS and NCIS Los Angeles. Finally, there’s Pure Genius, a new cutting edge medical series – that pops up in the competitive 10 pm Thursday slot. Comedy is a bid deal at CBS this season as the net sets up two nights of laughs with three new comedies: Kevin Can Wait (Kevin James as a retired cop who finds life harder than police work) and Man With a Plan (Matt LeBlanc as a contractor who has to spend more time with his kids when his wife goes back to work) on Tuesdays following The Big Bang Theory and The Great Indoors starring Joel McHale as an adventure reporter stuck heading up the magazine’s digital publications department. In the wings: Training Day (sequel to the Denzel Washington/Ethan Hawke movie) and Doubt, starring Katherine Heigl as a lawyer who falls for a possible murderer. For full series descriptions and the complete CBS fall schedule follow the jump. 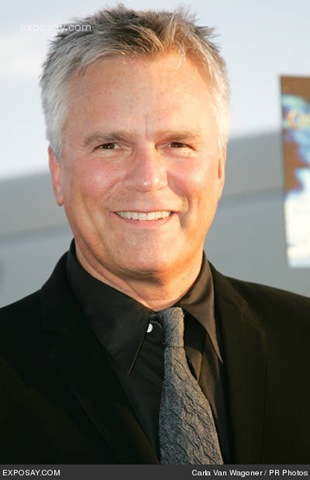 Richard Dean Anderson, who is best known for his roles as the intrepid, resourceful MacGyver from the series of the same name and the Gate traveling, alien fighting Colonel Jack O’Neill of Stargate: SG1, will make a guest star appearance in the fourth episode of the second season of the FOX comedy, ‘Raising Hope’. In the successful FOX comedy, ‘Raising Hope’, Lucas Neff plays Jimmy Chance; a man who becomes a single parent to an infant girl named Hope after the mother he had a one-night stand with ends up on death row. Anderson, who is a father of one daughter in real life, will be playing the role of Keith, a very protective father who sees Jimmy talking to the man’s daughter at Howdy’s. Only hearing part of the conversation being had with his young daughter, Keith becomes suspicious that Jimmy is coming on his little girl. Keith’s young daughter will be played by Richard Dean Anderson’s real life thirteen year old daughter, Wylie Quinn Annarose Anderson. MacGuber is based on Will Forte’s Saturday Night Live character, which is basically a parody send up of the hit ABC series MacGyver starring Richard Dean Anderson. In the highly successful comedy skit, Will Forte plays a MacGyver like secret agent who isn’t quite as adept at being clever as his MacGyver counterpart.